Heater Repair | AllTech Services, Inc.
Let’s put it this way—it certainly won’t help your furnace! This is why we recommend to our customers that they replace their air filters every 1-3 months. This isn’t just a random suggestion—doing so will ensure that you get the most effective and efficient use out of your HVAC systems as you can. 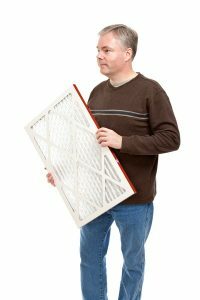 Considering how much you’ve likely already used your furnace this winter, we’d venture to guess that you’d like to do whatever you can to prevent costly heater repair in Fairfax, VA.
One way to help with this is by performing one small DIY maintenance task—changing out your air filter. You might be surprised to find just how important this little HVAC component is. It does more than protect your indoor air quality (actually, that’s not even its intended purpose)—it protects the system itself. Posted in Heating | Comments Off on Will a Dirty Air Filter Really Hurt my Furnace?